Human capital is increasingly being viewed as the critical lever­age point for managing intangibles—company, product and employer brand, customer loy­alty, employee engagement and alignment, ethics, innovation, effec­tive partnerships, and culture—and as a major source of competitive advantage.Organizations that can harness, leverage, and optimize it will win in an increasingly fierce competitive environment. Organizations today are being squeezed by their competitors, customers, employees, and in many parts of the world by local and regional labor unions, regulatory agencies, and, of course, shareholders. 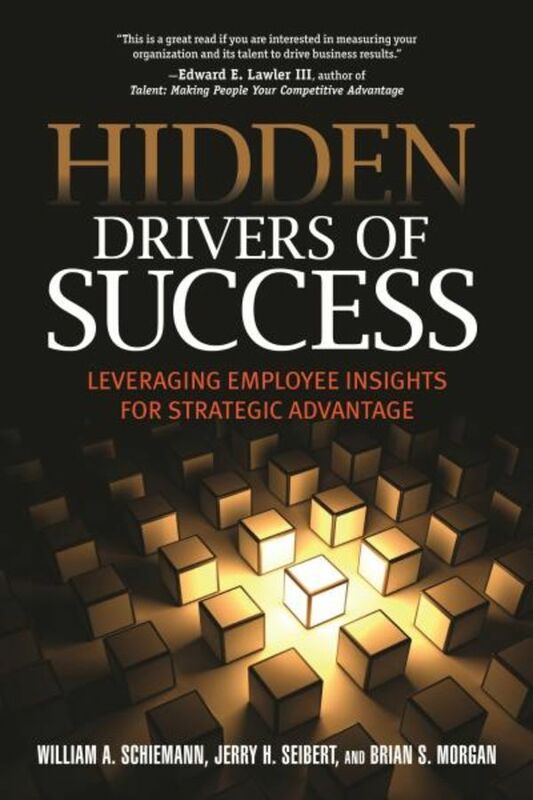 Hidden Drivers of Success provides a framework for HR managers and business leaders to identify and extract crucial information to lead their enterprise, business unit, or department to success. Sadly, much of what is readily available is not necessarily the information needed for the best decisions, and the most useful information is too hard to detect, buried among thousands of data points. What may surprise the reader is that much of the information needed is often sitting nearby in the heads or on the desks of people around you, waiting to be tapped. In this book, the authors place particular emphasis on extracting valuable information from stakeholders in a timely fashion, thereby enabling leaders of all types to make great decisions. Many of the existing tools, such as surveys, were not designed or used to provide strategic decision information. Hidden Drivers of Success will show how various measures—with a particular emphasis on surveys—can be reinvented to serve today’s strategic and operational needs. 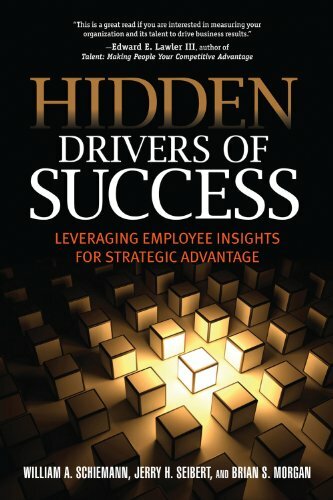 The goal of Hidden Drivers of Success is to expand thinking around how to use the richness of the information around you for the strategic benefit of your organization. In short, this is a book about managing organizational value—how to define it, how to measure it, and how to grow it. Chapter 2. What Do You Really Know About Your Organization? Section VII: Preparing For the Future—Now! Chapter 17. Do You Have a Strategic Intelligence System? William A. Schiemann, Ph.D. and MBA, is Chief Executive Officer of Metrus Group in Somerville, New Jersey. Dr. Schiemann and his firm are known for their pioneering work in the creation of the People Equity (ACE) talent optimization framework, strategic performance metrics and scorecards, the strategy mapping process, valuation of internal shared service functions, and for stra­tegic employee surveys that drive high performance. Bill is author of The ACE Advantage: How Smart Companies Unleash Talent for Optimal Performance and Reinventing Talent Management: How to Maximize Performance in the New Marketplace and co-author of Bullseye! Hitting Your Strategic Targets Through High-Impact Measurement. He was former Board Chair of the SHRM Foundation, current board member with the HR Certification Institute, and is a designated Fellow and Scholar of the Society for Industrial and Organizational Psychology (SIOP). Brian S. Morgan is Director, Organization Assessment Services at Metrus Group, Inc. He has over 30 years of experience in organization diagnostics, with particular specialization in employee survey and follow-up action planning, with a focus on strategic uses of employee surveys to predict customer satisfaction, financial performance, and other key business outcomes. His recent work also includes the design and implementation of strategic measurement system and internal customer surveys. Jerry H. Seibert, MA is Principal and Vice President of Diagnostic Services of Metrus Group. He has 25 years of experience working with organizations to measure and improve customer, employee, and other stakeholder perceptions. He has also led numerous large field studies on internal customer service/value, and its connection to business outcomes.